This towel is currently on sale! Our Gourmet towels are certainly one of our highest-quality products. This 20 inch by 20 inch towel is perfect for a dining napkin or to use on your face! 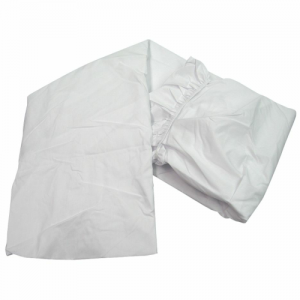 This 100% cotton flour sack towel is super soft to the touch and hemmed on all four sides for added strength. 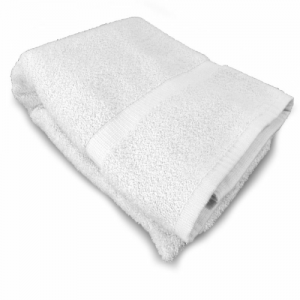 This towel fabric is very gentle on skin and highly absorbent, and can be thrown into the washer for quick and easy cleaning. 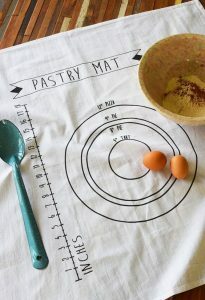 Our Gourmet flour sack towels are ideal for gift-giving because they are both trendy and functional. Your custom towel will last for years to come and remind your loved one that you care! This is a gift idea that saves you time and money, while creating a one-of-a-kind present for someone special. By choosing Cotton Creations flour sack towels, you can shop and customize towels online in just minutes! We also offer incredible pricing on a single towel or even an order of 200 for your whole family. These custom gifts can even be individually wrapped before we ship them to you. Leave the hassle of buying gifts in the past, and visit our Design Station today! Our Gourmet towels are made of 100% cotton and are bright white, to ensure your design really pops. 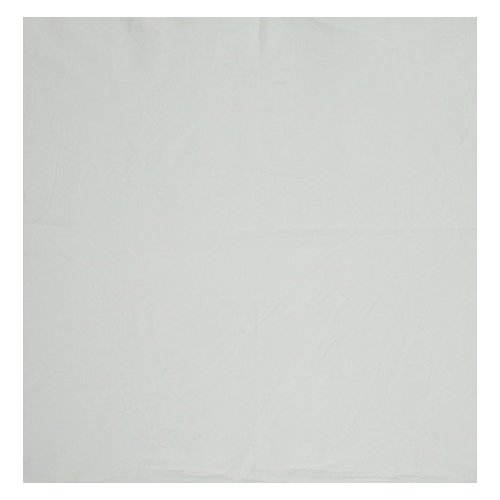 This crisp white towel also works perfectly with any kind of décor or color patterns. The soft fabric is comforting and will keep your home feeling cozy. Wrap your custom towel in a ribbon or put inside of a new coffee mug. The possibilities for our Gourmet towels are endless! You can even leave them blank and include in a kitchen or spa-themed gift basket! 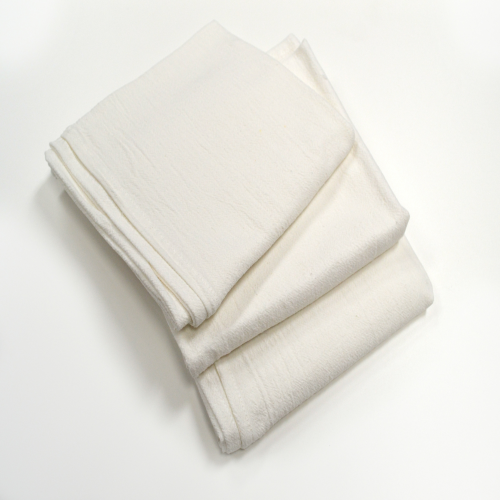 If you are responsible for taking care of others, whether at home, in a daycare, hospital or assisted living facility, our square cotton napkins provide maximum comfort. 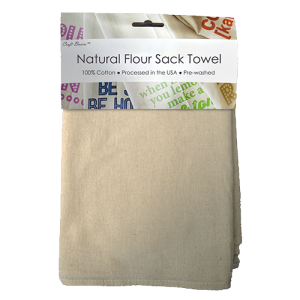 These 20 inch by 20 inch Gourmet flour sack towels can be kept in a nice, neat stack in your cabinet, bathroom or pantry so you can always have clean linens on hand. If you work with children, there are infinite messes to clean and this soft cotton towel will make the job easier. Simply throw into the washer for the next use. The Gourmet flour sack material is lint-free and has a thicker construction, so you can provide clean and efficient care on skin, faces, or other delicate surfaces. These are also great for folks with limited dexterity as they are not heavy or stiff to work with. We are happy to offer discounted pricing, tax-free orders and free shipping to make the experience as easy as possible. You can get lesser pricing for as low as one dozen towels, and over 50% off when you order at least 50! You cannot get these deals in stores! That way you always have our high-quality towels right when you need them without having to run out. Contact our team today to navigate your best options!